OMG! 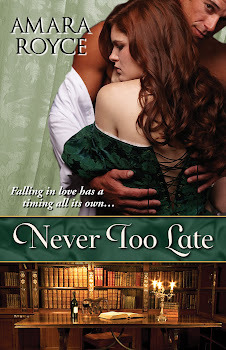 Never Too Late is now available on Netgalley for reviewers! OMG OMG OMG! While I'd like to give the impression of being a calm, cool author, I'm fairly sure that ship sailed long ago. Maybe, by the time Book Two is released, I will have some semblance of composure about all this. For now, squeeeeeee! This week's Saturday Snippet features Never Too Late's hero, Lord Alexander Devin, after his first encounter with Honoria. This excerpt also gives a glimpse of why he visits her shop in the first place. “Make the woman's acquaintance,” Mr. Withersby had said. Well, I have certainly done that, Lord Devin thought. Upon entering, he hadn't expected to do more than scan the shop and get a general impression of its owner. Unobtrusive, subtle, distant. Instead, he'd become abruptly and intimately acquainted with her ample bosom before he even formally knew her name. Bloody hell, he'd thought as her body careened at him. He could still recall the faint scent of lilies that wafted from her. He could still feel the delicate weight of her in his arms. And on his skin. “Investigate and neutralize,” Mr. Withersby had said. Lord Devin still needed more time and information to comprehend why there would be a need to neutralize such a harmless, albeit lovely, matron. She might be able to convince customers to drop an extra penny or two they hadn’t planned to spend, but she was no threat to the future of British society. Two days prior to the bookshop encounter, Lord Devin had found himself in the dark, smoky, heavily appointed office of Mr. Withersby, attorney-at-law. He abhorred this dank building, this increasingly seedy district, and this man, this sniveling excuse for a man whom he’d enabled to claw into the Devin family’s stronghold. “You have a job for me?” he said as he barged into the office. He didn't care if Withersby was otherwise occupied, whether with client for business or, just as frequently, with some skirt for pleasure. “I do not take kindly to being called like a dog, Withersby. You called; I came. I do not want to be here any longer than necessary.” He remained standing, glaring down his nose at the short, stout, spectacled solicitor, who resembled a woodchuck, with his beady eyes and pointy face. Never Too Late is available for pre-order at Amazon, Barnes and Noble, and iBooks!